Sometimes you just want to give a little gift to your child's teacher, but want to make it a something extra special. I've created a few Teacher Thank You Gift Tags for this month's newsletter subscribers that will do just the trick. Each month I try and send my newsletter subscribers a free printable that you can only get as a member of our newsletter list. Last month I shared our Friendship Survival kit, which is now only available in our online store. 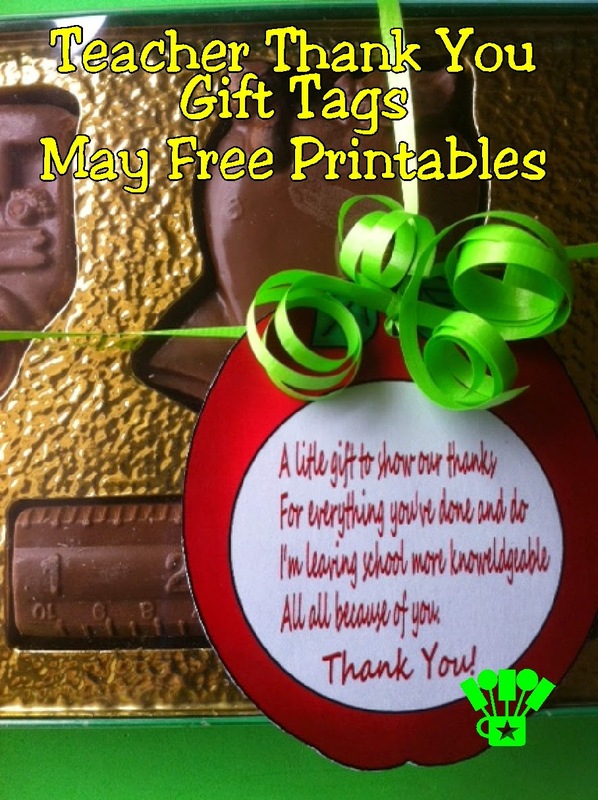 This month I have 5 cute teacher thank you tags that you can add to a teacher gift. Each one has a unique poem or thank you message on a cute background. 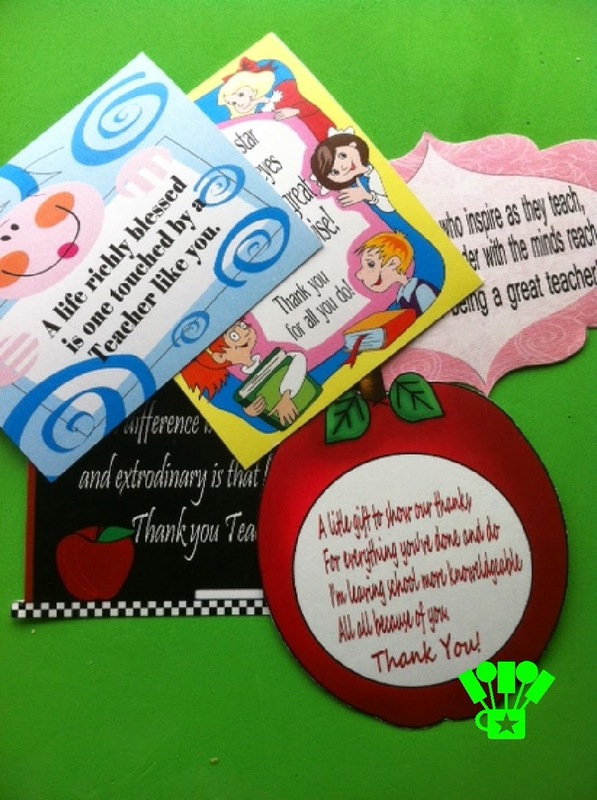 All you need to do is print, cut, and add to your gift for a great thank you that your favorite teacher will love. If you are interested in getting May's newsletter freebie, all you need to do is sign up for our newsletter updates here before the last day in May. After that day, you can only find the teacher thank you tags in our online store.